Sign up to receive the latest news and products from Sherwoods. 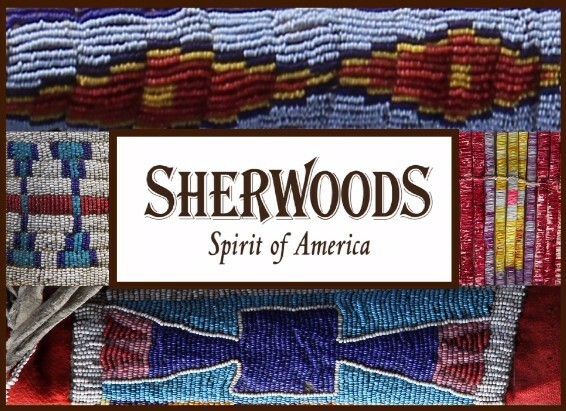 Thank you for your interest in Sherwoods Spirit of America. Booth number 300 in the Mesa Room! 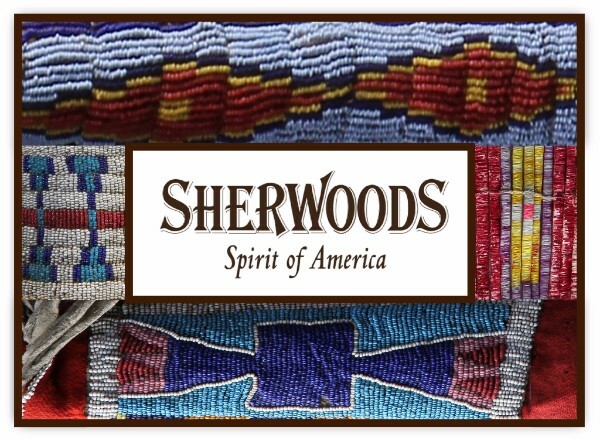 Sherwood's is pleased to present two historic Pueblo pottery pieces. Both examples date from the late 19th to the early 20th century. 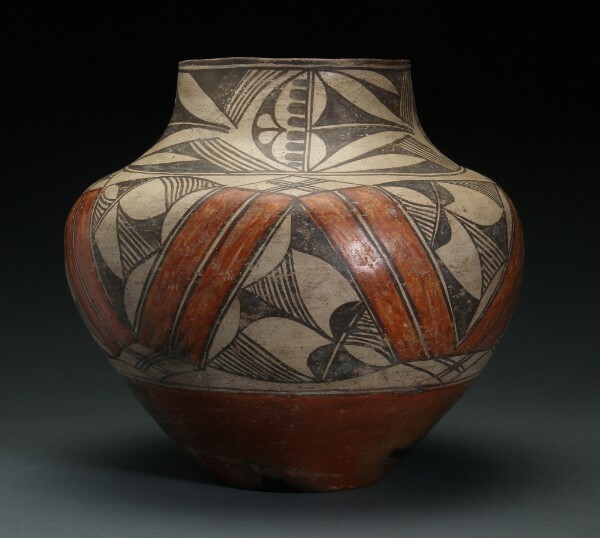 Each of these vessels were made during an earlier period when pottery provided storage and utility for the Pueblo Indians. Their visual beauty is as evident today as when they were first created nearly 100 years ago. 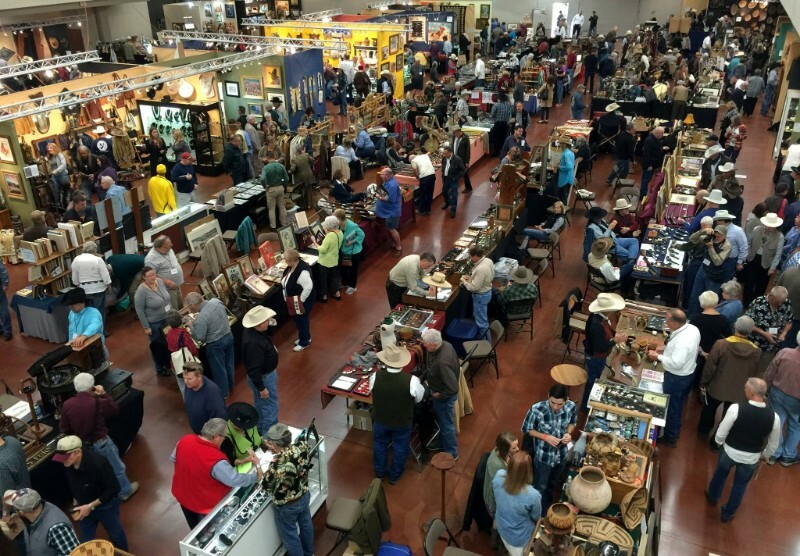 If you would like further information on our featured products please contact us via email or phone, 505-988-1776, and we will be happy to assist you. 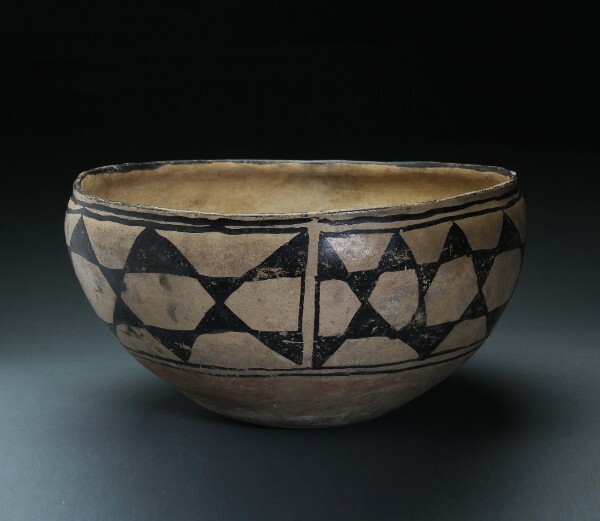 Classic Kewa Dough Bowl with a traditional Star pattern design and showing a ceremonial line break. Double framing lines border the main design. A red under-body band is present beneath the painted star pattern. This bowl shows wonderful ethnographic wear.